Great night in St. Brigid’s Hall! 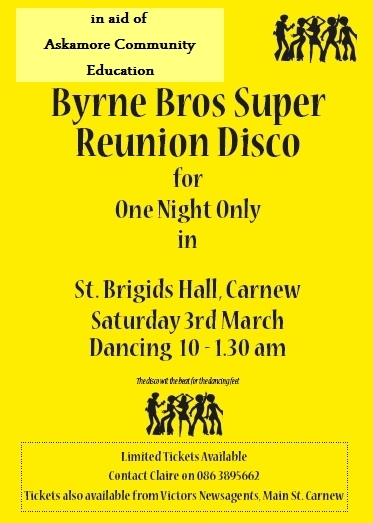 Byrne Brothers Re-union Disco is on tonight in St. Brigid’s Hall, Carnew, 10-1.30. Come and relive the days of old and the music of the 60s and 70s. 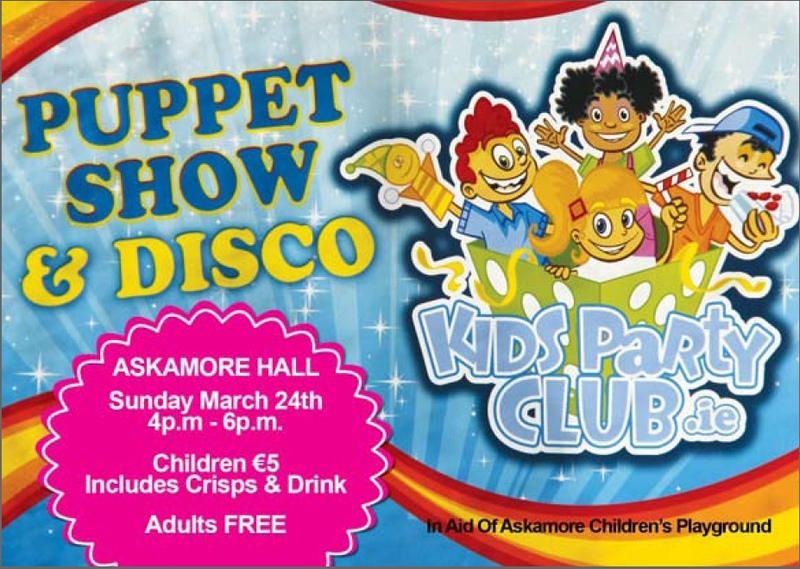 This fundraiser is in aid of Askamore Community Education, and tickets are €10, available on the door tonight. Come along for a night of nostalgia! 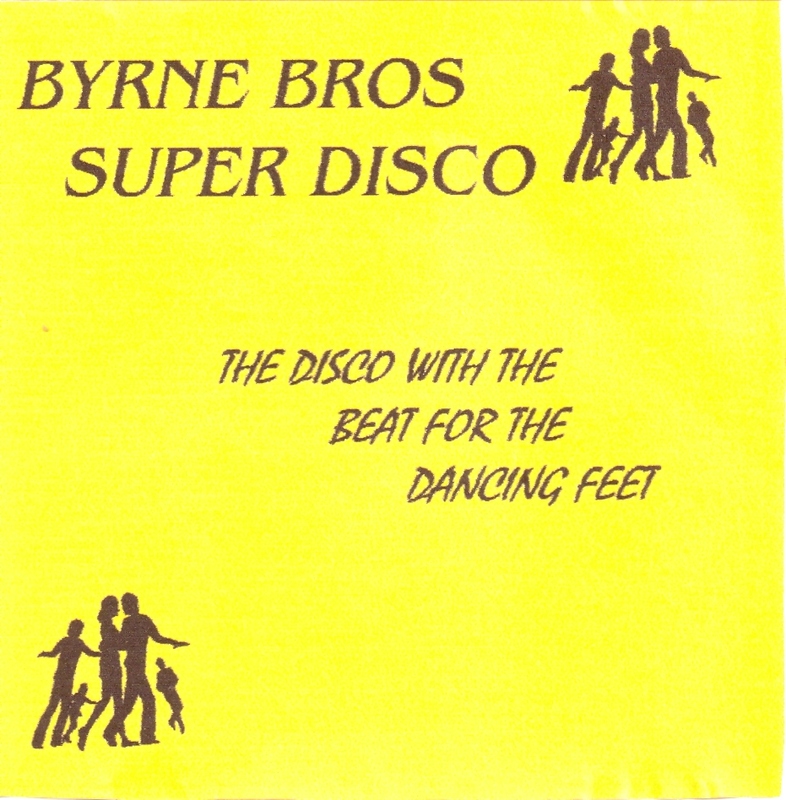 Get your tickets to be sure you’re re-living the Byrne Brothers disco experience!! Keep Saturday March 3rd free and watch this space!